When you wake up on a clear morning and see the snowy peaks of the High Tatras it quickly becomes clear why the Slovaks worship them and love to identify with their mountains. 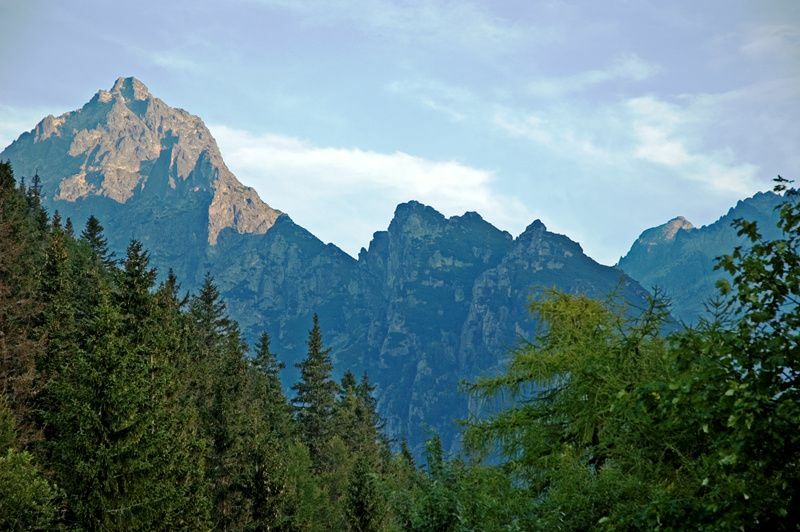 Just as the Slovenians are with Triglav, the Slovaks are fascinated with these peaks and it seems that the Tatras are both geographically and symbolically watching over Slovakia and its people. The Krivan Peak (2,495m) is to Slovaks what Triglav is to Slovenians, which is why most of the High Tatras have been protected as a National Park since 1948. The High Tatras are a part of the Carpathian Mountain range, which extends in a large, north-easterly arc from Bratislava to Orsova. The 15-25km wide and 26km long granite ridge stretches from west to east, is open to the north and to the south is peppered with reefs. The mountains are also the main feature between the East and Black Sea. The Poprad river originates in the Mengusovská valley and flows into Vyslo, from where it continues on to the Baltic Sea. The Vah River, which originates as the White Vah beneath Krivan mountain (2,496 m), flows into the Danube and from there on to the Black Sea. The Lomnický štít peak, with its pyramidal shape and at 2,632m the second highest mountain of the High Tatras, offers a very special vista over the wonderfully high mountains. You may be surprised on your first contact with the Tatras by the consequences of a 2004 natural disaster, when hurricane winds of up to 170km/h destroyed almost all of the spruce forests at their foot. The damage evaluation showed that approximately 3 million m3 of wood was felled and whilst the forest is slowly re-establishing itself the scrap wood still testifies to the very delicate balance of nature. Did you know that there are Sherpas in Europe as well? That they are the last Sherpas of Europe? In “developed” Europe, mountain cabin supplies are provided by helicopter, the same practice that is used in Tatras, and yet the Sherpa culture that is admired by many has survived and proved that it is an important way of life which in Europe can not to be found anywhere else. It is a one-of-a-kind sense of dependence and unique specialty of the Tatras. The dramatic landscape that is largely protected in the national parks has always attracted mountaineers because of its marvellous views. The surrounding beauty is something you just can’t get enough of, with its attractiveness stretching over more than 25 peaks at a height of more than 2,600 metres. As it is a protected area you are only allowed to walk along marked trails in Tatras, so the best option is to hire a local registered guide. The Slovakian mountain trails are excellently furnished with road signs and markings, as well as with numerous guides, and hiking is actually amongst the most developed of its tourist activities. 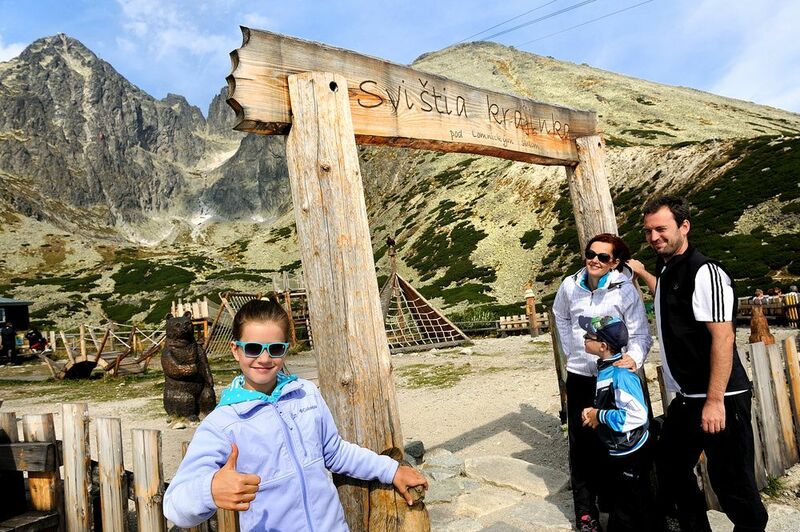 We strongly recommend that you include a truly memorable experience of the only European Sherpas in your visit to the High Tatras, who day by day supply the more than 12 Tatras mountain huts that all offer their own genuine mountain hospitality. Seeing it in the distance you instantly wish you could get straight to the top, and to do so it’s easiest for both you and congress guests to use a system of gondolas that whisk you to the top of the observatory and Europe’s highest botanical garden. A modern gondola from the Lomnický peak village leads to the Skalnaté pleso, at an altitude of 1,760m, and from there the old gondola, which can accommodate up to 15 passengers, carries onwards to the summit, an experience that feels like being in a James Bond film. This and the modestly measured time to explore the peak (50 minutes) adds to the exclusivity of the experience, where you won’t be able to stop wondering at the engineer’s genius to create a mountain outpost in such a narrow space and connected by gondola. 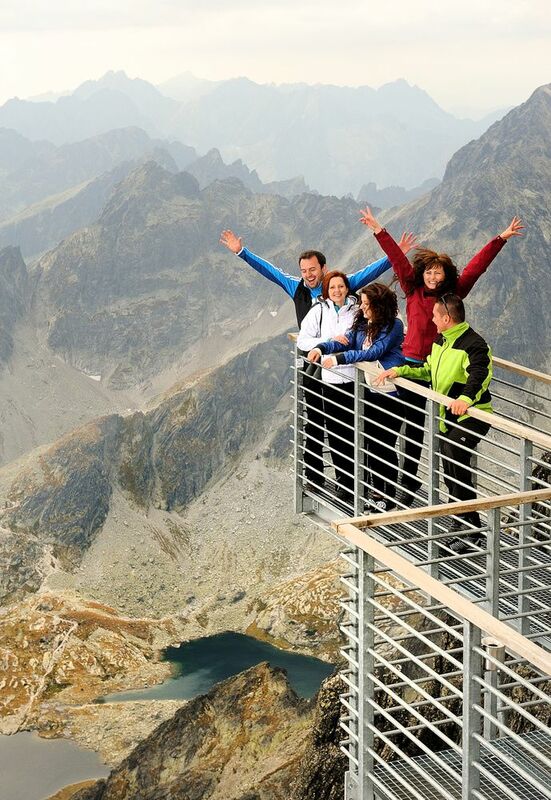 A photo platform that floats above the cliffs is a must experience for every adrenaline-seeking meeting researcher and in the restaurant on the Skalnaté pleso you can have lunch or dinner quite literally in the clouds. 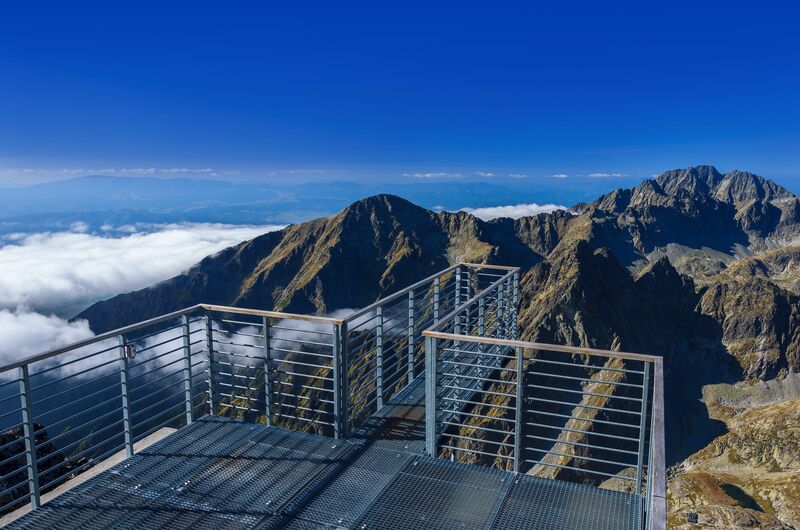 It is quite something to be served up typical Slovak dishes at an altitude of 2,654 metres. Slovenes and Slovaks are similar in their skiing habits and both love to conquer mountain peaks. The largest ski resorts in the High Tatras are Strbske Pleso, Starý Smokovec, Tatranská Lomnica in Slovakia and Zakopane in Poland. All of the equipment on the ski slopes are modern and if necessary the ski channels can be artificially snowed. From what we have seen it is a great ski resort, where the legs quickly itch to try it out. The resorts are connected by electrical rail, allowing easy and sustainable travel between some of the major tourist destinations. 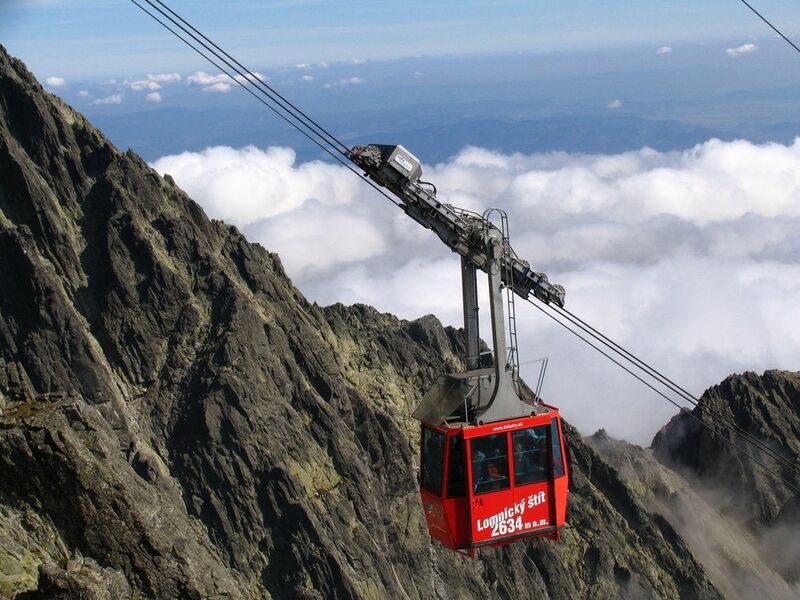 The season runs until the end of April, but the equipment also operates in summer time, to shorten the tourist route to the heart of the Tatras. The ski offer can also be adapted for a variety of incentive programmes that covers everything from zorbing to night sledding and snowshoeing. In Štrbské Pleso you instantly feel like you’re in the trendy Swiss resort of St. Moritz – the altitude, glacial lake, ski resort and legendary Grand Hotel Kempinski High Tatras are all very similar. The hotel is true haute-couture and belongs in the elite group of European hotels, albeit that the prices are much more wallet-friendly. The hotel offers a rustic comfort combined with prestigious services in accordance with the Kempinski standards. The hotel, which in the past hosted many important guests, including Ban Ki-moon-a, General secretary of the United Nations, will play an important role during the presidency of Slovakia in the EU as the location for numerous state meetings. If you’re looking for an escape from the everyday hustle and don’t like industrial hotels for your convention groups, then Štrbské Pleso is a perfect choice. After a long day of meetings, you can relax in the spa area and enjoy exceptional views of spectacular mountain scenery. The local food and drink also offers up many pleasant surprises and you certainly should definitely visit one of the nearby cottages offering some local cuisine. The very diverse tourist offers demonstrates that this is a well-developed tourist region, on that you can use primarily for incentive groups. In addition to the ski resort offer, the locals are especially proud of the Aqua City Poprad, built by entrepreneur and visionary Jan Telensky. It is an impeccably sustainable project, nicely integrated into the natural environment and offering 10 swimming pools and numerous wellness programmes. The hotel has created a kind of hybrid, suitable also for large conference groups. The latest acquisition, popular among media planners, is the Hurricane Factory Tatralandia. It is the first aerodynamic tunnel in Slovakia, where they can create the feeling you feel when jumping out of an airplane (if you happen to know that already!). 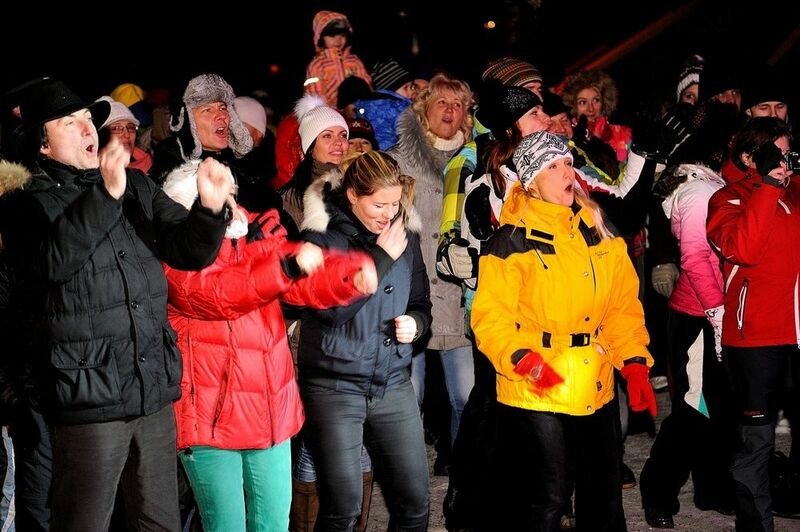 Whether in summer or winter a range of activities on the ski slopes can be organised for congress groups and when organising teambuilding activities the Pro Events agency is able to help you out. For winter activities they also use the landing spot of spectacular 120-metre ski jump in Štrbské Pleso, which in the 90s was the venue for the FIS Ski Jumping World Cup. You can find some of the best Slovakian restaurants offering excellent cuisine in the High Tatras and for less formal occasions there is also the type of catering facilities where you can try traditional local dishes. For gourmets a visit to the Culinarium restaurant is near obligatory. An innovative restaurant menu includes seasonal organic food and specialties prepared in a modern way by celebrity chef Gabriel Kočak, but fear not, for you can also try the Slovak national dish of “bryndzové halušky”, dumplings made of potato dough and coated with a mixture of sheep’s ricotta and cream and dressed with crackling. 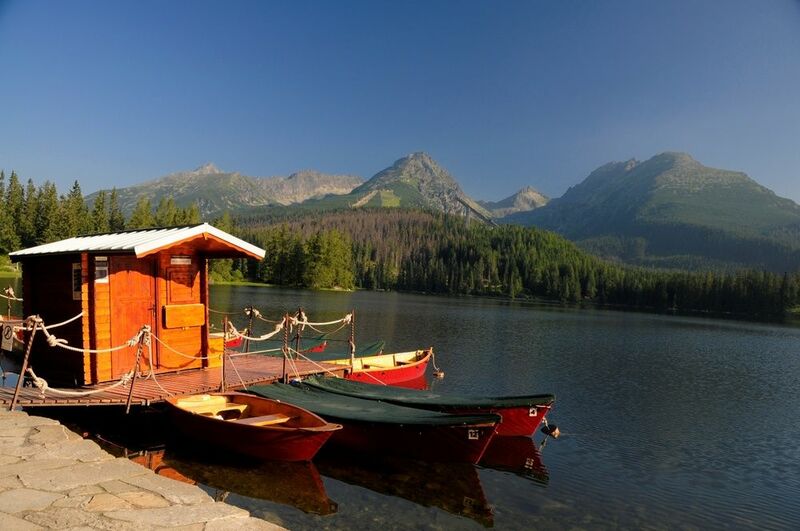 Locations in the High Tatras have good transport connections and the congress-hotel offer can be divided into four main spots. The first is in Štrbské Pleso, where of the many different category hotels the Grand Hotel Kempinski, right on the picturesque glacial lake and often a venue for diplomatic meetings, is the stand out. Thanks to the ProEvents agency the place is also the centre of a very active incentive offer. The other convention centre is in the town at Old (Story) and Upper (Horny) Smokovec, where the Grand Hotel Bellevue with its 141 rooms and multi-functional congress centre – the largest hall accommodating up to 600 people theatre-style – is the largest provider and specialized in the meetings industry. The historic Grand Hotel, built in the Art Nouveau style, is not too far away and has smaller halls for special events. The third centre for events is in Tatranská Lomnica with the Grand Hotel Praha hall, which can accommodate up to 250 participants in a theatre set-up and the final option is in the town Poprad, where Aquapark has become the new centre of events, combining a water fun and wellness offer with three hotels and the convention centre. Their biggest multifunctional hall can accommodate up to 250 participants and for bigger receptions organisers also have at their disposal an area by the pools suitable for up to 400 participants. The ProEvents Agency is the most recognizable DMC and event agency in Tatras. They will help you find the most suitable location for your event and with their thorough knowledge of the local supply chain also prepare a programme ideal for your participants. 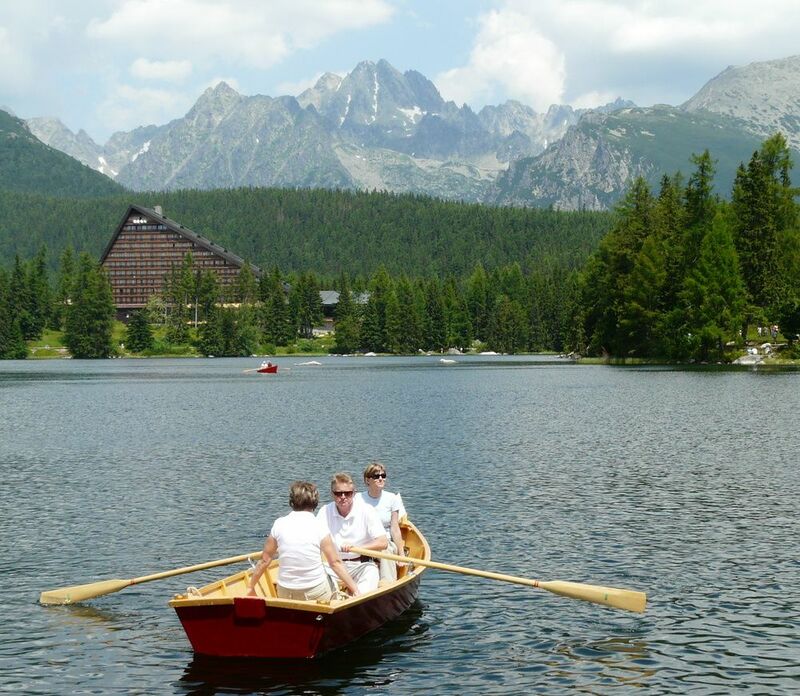 Most foreign meetings guests are genuinely surprised by the exceptional hospitality and delicious food in Tatras. This has been mastered by almost every host and it seems that it is a part of their training-focussed culture and central to their values. 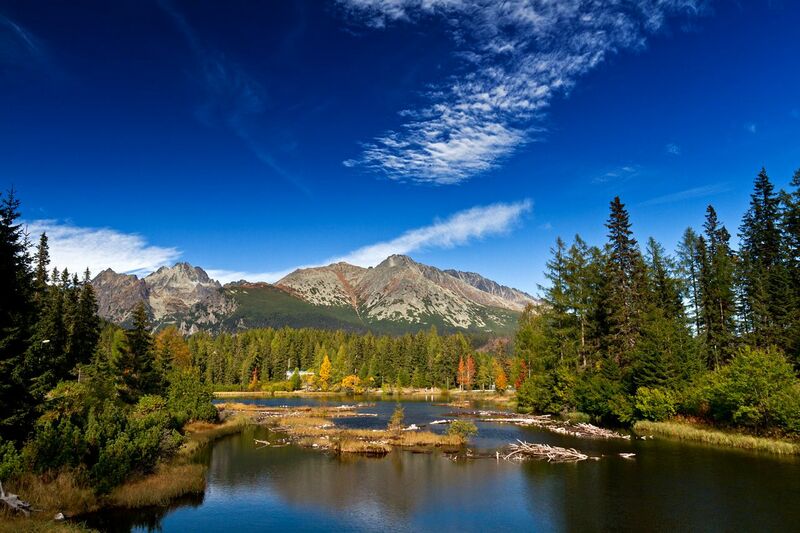 To explore the High Tatras you have to take your time, as only then can you feel the genuine hospitality. Visitors can see ice sculptures 82 days a year, while in the winter it is a very special venue for concerts and other kinds of events. For the 32nd time the Sherpas of Tatra will overcome the 4-kilometre distance and an altitude shift of 550m. This unique competition is definitely worth visiting. Movie projections in the legendary Grand Hotel Stary Smokovec, an experience that connects you with the film The Grand Budapest Hotel. The High Tatras are full of small, craggy, steep peaks with deep cut valleys and wild romantic cliffs lying between the ridges. The weathered granite gives the mountains a dark brown colour and the numerous lakes, thought to be about a hundred in number, are of glacial origin. The ensemble is very complete and is easily comparable with the most popular tourist vistas in the heart of the Alps. It also is rich in cultural and historic heritage, with castles and an authentic mountain culture. 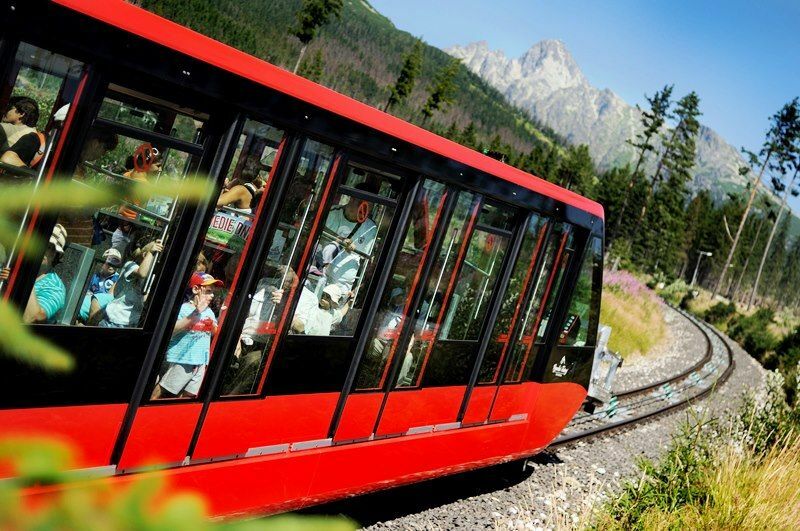 Within its 360km2 territory the High Tatras are framed by 15 settlements that are interconnected by a road of “Freedom” and a modern, narrow-track electric railway. In the largest city of Poprad dood infrastructure can surprisingly be found at every step, as in the region’s tourist centre of Stary Smokovec. The Spiš region boasts the modern Poprad airport, which with the Wizzair to London (Luton) route heralded an improvement of air accessibility that is increasingly better connected to the world. Road accessibility is also excellent, both from the direction of Kosice and from Žilina and Bratislava. Over the years, the High Tatras has evolved into a destination that can today brag about a range of beautiful hotels and impress with its excellent tourist infrastructure. The Grand Hotel Praha and Grand Hotel Stary Smokovec are located in buildings of historical importance and can both boast enviable traditions. The entire tourist superstructure is fully developed and includes everything from restaurants to rich nightlife and numerous shopping possibilities. The congress hotel offer is grouped into three houses, with the largest and most functional provider specialized in congresses being Grand Hotel Bellevue. 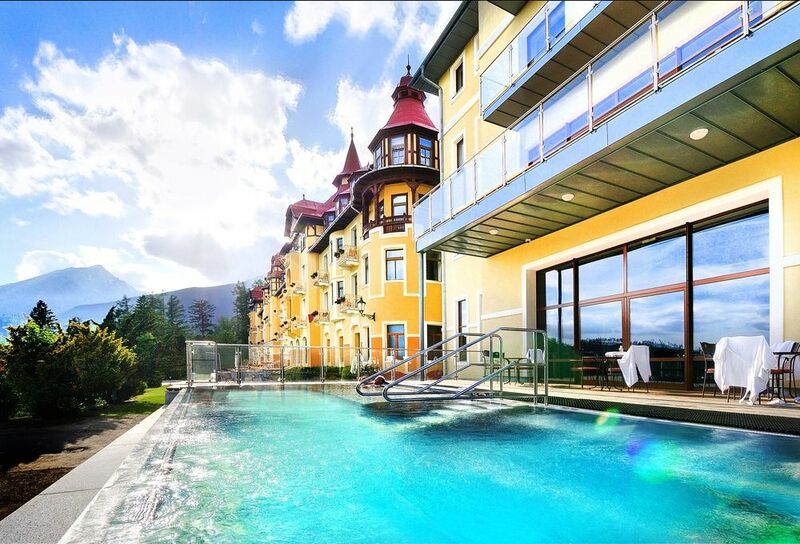 The biggest hotelier in the High Tatras, Tatry Mountain Resort includes six hotels and resorts, with more specific locations for social events including Tatralandio, perfect for organising incentive events. The most exclusive option, however, is definitely Grand Hotel Kempinski. Meeting planners can choose from a number of different activities throughout the year and especially appreciate the beautiful nature and hospitality of the Slovaks. If you decide to organise an event in this beautiful Slovak landscape, it will not leave you short-changed – the locals will spoil you at every step with the facilities and the conference infrastructure, which is definitely comparable with European competition, only that the package in the High Tatras is much cheaper. 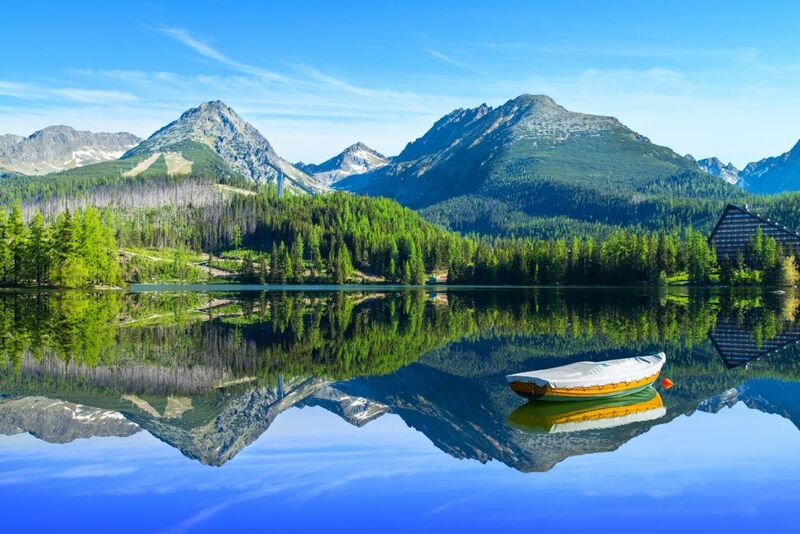 The High Tatras are known primarily as the most developed tourist region of Slovakia, but less well known is that in the Tatras, because of the proximity of universities, a number of regional character congresses are held. The key challenge is therefore their insufficient recognition on the international meetings industry stage. In addition, meeting planners don’t know what to expect as to the supply and quality of service. Therefore, forming a congress office is essential, as with planned work they will be able to address these challenges. How much cargo can you carry? Try putting a heavy load on your back and test your own strength and skills in the Tatra valleys, or compete at the annual Sherpa rally. TATRA TEA – A real specialty that the locals test the durability of their guests by. It is not strictly tea in its true sense, but rather a herbal potion with a fairly healthy dose of alcohol. It is, of course, very healing!